If your toilet won't flush or requires several pressings on the handle to make it flush properly (or at all), then the chances are that the diaphragm washer (membrane) inside the cistern syphon is damaged. They can crack, disintegrate, fold over and any one of these faults can stop the toilet flush mechanism from working properly. 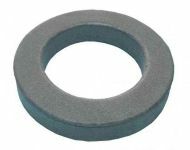 We have a range of replacement washers to suit most toilet syphons. 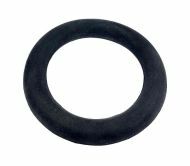 When you remove the cistern from the pan you will probably find a damaged rubber washer, rather like a squashed, deformed doughnut. It is very hard to re-seal the joint between the cistern and pan re-using this squashed item. We strongly recommend you replace this washer at the same time as doing your syphon washer repair job. 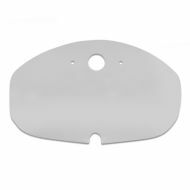 Special plate kit to suit many handle flush Armitage Shanks and Ideal Standard toilets. Used to make the connection between your close coupled WC / toilet cistern and pan. Armitage type diaphragm washer for your toilet cistern syphon. 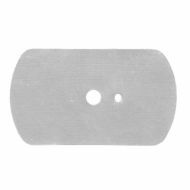 Measures approx 5-1/2 inch (140mm) long x 3-1/4 inch (83mm) wide. 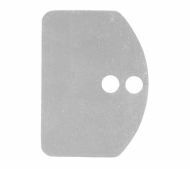 D shaped diaphragm washer for your Derwent Macdee Metro toilet cistern syphon. Measure approx 122mm x 89mm. Dauntless type diaphragm washer for your toilet cistern syphon. Diaphragm washer for use with the Dudley Turbo 11 (rubberwell) toilet syphon. Diaphragm washer for use with the Dudley Turbo 44 toilet syphon. Fordham type diaphragm washer for your toilet cistern syphon. Replacement freeflo / freeflow type diaphragm washer for your ideal standard toilet cistern syphon. Approx 116mm long x 105mm wide. Ideal Standard Jetflow / Jetflo type diaphragm washer for your toilet cistern syphon. 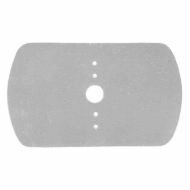 Measures approx 4-3/4 inch x 3-1/2 inch (122mm x 89mm). 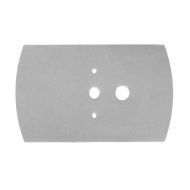 Oblong / rectangular diaphragm washer for your Derwent Macdee Metro toilet cistern syphon. 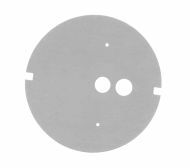 Measures approx 140mm x 82mm, centre hole 14mm diameter. Round diaphragm washer for your toilet cistern syphon. 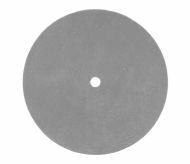 These washers measure 4-5/8 inch (118mm) in diameter, they are designed to fit a 4-1/2 inch syphon, though if it is a tight fit, you may need to trim slightly with sharp scissors. 5 inch round diaphragm washer for your toilet cistern syphon. 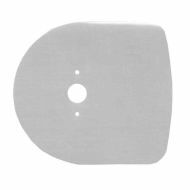 Round diaphragm washer for your Derwent Macdee Metro toilet cistern syphon. Shires type diaphragm washer for your toilet cistern syphon. Measures approx 146mm x 90mm. 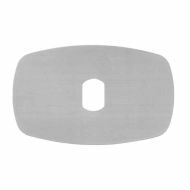 Square Metro diaphragm washer for your Derwent Macdee toilet cistern syphon. Measures approx : 117mm x 117mm. Thomas Dudley Turbo 88 / Cascade type diaphragm washer for your toilet cistern syphon. Approximate measurements : 138mm x 85mm. Twyfords type diaphragm washer for your toilet cistern syphon. Close couple toilet / WC cistern to pan plate kit, used to make the connection between your close coupled toilet cistern and pan. Suits older, handle flush, type toilets. Kit includes : metal plate, nuts, bolts and a doughnut washer.